Click to learn about my frames. "What I learn about myself and how to make sense of my life through painting is as important to me as creating something beautiful and original. I have learned not to fear following a painting when it leads me on a different path than the one I originally designed for it. There is always something wonderful to be discovered at the end of that detour. What is manifest in nearly all my art is a quietude and peacefulness that seems to pervade even the most dynamic of my painting compositions – of nature, people, animals, birds, and “still” life. No doubt this is a way of living and being I wish for myself and for those who view my paintings." Nancy Howe is a self-taught artist who began developing her art seriously in 1988 from her rural studio in Vermont. 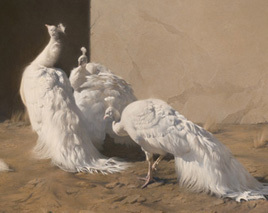 Her paintings in oils exhibit a refined quality of realism often described as suffused with light, exquisitely textural, and having a quiet presence. Her unique treatment of the subject matter, which spans the range from animals and birds, to landscape, still life, and figures, is created through thoughtful compositions, strong design and the expression of light. In 2007 Howe created a fundraising project, “Painting a Brighter Future for Women”, in partnership with The Boma Project www.bomaproject.org. 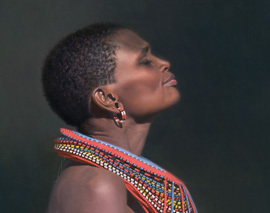 The project is a series of original oil paintings of the native pastoral nomadic people of northern Kenya, and fine art giclee prints from these images, the sale of which supports women in these communities. In 2011 the project was expanded to include additional painting series to benefit the women of other cultures around the world, including the people of Bhutan and the Kuna indigenous people of the San Blas Islands of Panama. Her paintings have become part of several museum permanent collections and been the recipient of numerous national exhibition awards. She made history in 1990 by being selected as the first woman artist in the history of the U.S. Department of Interior’s Federal Duck Stamp Program that was established in 1934, and her artwork became the design for the 1991-2 Federal Duck Stamp. In 2003 she was honored by Oil Painters of America with the grand prize, the American National Award of Excellence. She was the recipient of the Gold Medal at the OPA Eastern Regional in 2009 and Award of Excellence in 2011. 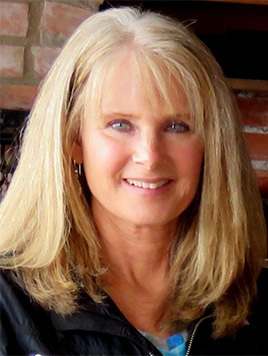 She has had work juried into the Leigh Yawkey Woodson Art Museum’s international bird and wildlife exhibitions since 1990 and in 2005 was honored as Birds in Art Master Wildlife Artist. The artist also received the International Masters Award and Patron’s Choice Award at the 2001 International Masters of Fine Art Invitational in San Antonio, Texas. 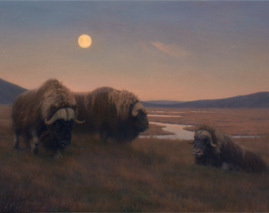 As an invited artist for many years, Howe exhibited in the “Artists of America” show at the Colorado History Museum in Denver, CO and the “Great America Artists Exhibition” in Cincinnati Ohio. 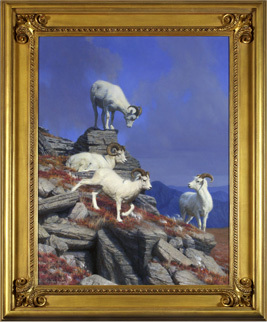 Howe has been a Signature Member of the Society of Animal Artists since 1992, a Signature Member of Oil Painters of America since 2002, and was named Master Signature member of OPA in 2013. She has been a contributing artist in several art publications, including the 2001 Wildlife Art: Sixty Contemporary Masters and Their Work.